Jen Burtt of Leicester has come a long way since a harrowing car accident changed her life in more ways than one. This article was originally published in the May 14, 2017, edition of the Sun. It’s been more than six years since Jennifer Burtt started doing the one thing that gives her purpose and keeps her healthy — providing support to others looking to change their way of life. If it had not been for a devastating car wreck that left her friend dead and Burtt clinging to life, the former hairdresser likely wouldn’t have discovered that personal training — and helping people find their own new paths — was her life’s passion. “It’s still amazing to me that the accident even happened. 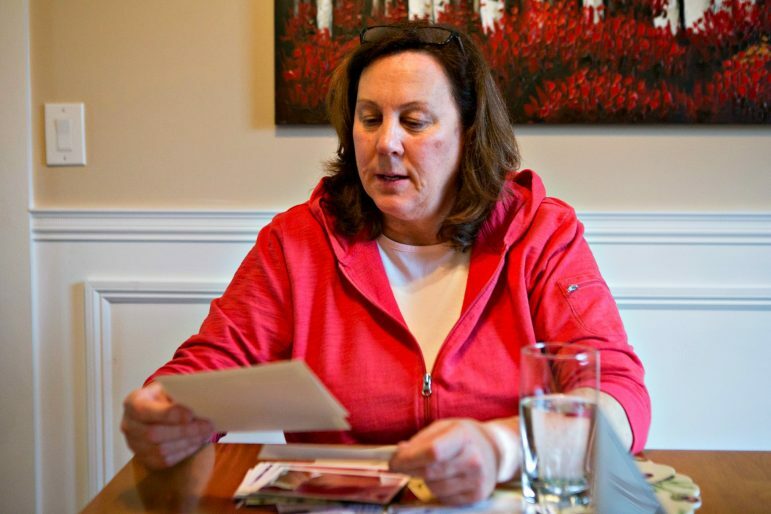 When I hear people tell me their accounts of what happened, or when I read the police reports, it’s crazy to think that that happened to me because I don’t remember any of it,” Burtt said in an interview on April 20, the same day she read through — for the very first time — a folder full of police and hospital reports her family saved to document the car crash that nearly took her life. On July 12, 2010, at about 7:30 p.m., Burtt was a passenger in a Honda CR-V going more than 80 mph heading north on Interstate 395 in Killingly, Connecticut, when the vehicle swerved violently from the left shoulder, crossed two travel lanes and crashed into a raised divider at the Exit 93 [now exit 41] on-ramp. According to reports from the Connecticut State Police, the SUV rolled over several times before finally coming to a halt. When first responders arrived, they found Burtt had been thrown from the vehicle and was pinned beneath it. The driver was killed; Burtt and the other two passengers survived. “The last thing from that day that I remember is leaving the beach, and the next thing I truly remember is months after the accident,” Burtt said, noting that her memory loss is due to a severe head injury suffered in accident. Today, Burtt, 31, of Leicester, is a personal trainer, small group trainer and fitness coach. She is a yoga and mobility teacher at Prime Fitness in North Oxford, where she runs her own training program, Grit & Grace Fitness. Burtt is a graduate of Leicester High School, where she captained the basketball, softball and field hockey teams. The youngest of three children, her parents are Theresa and Gregory Burtt of Leicester. The Burtts own and operate Gregg Burtt Contracting, with the help of their youngest, Brett, 33, project foreman for the company. Scott Burtt, 34, is a project manager for Elaine Construction Co.
That strength was needed for the long recovery ahead for Burtt. Jen Burtt spent weeks in the hospital after her accident. 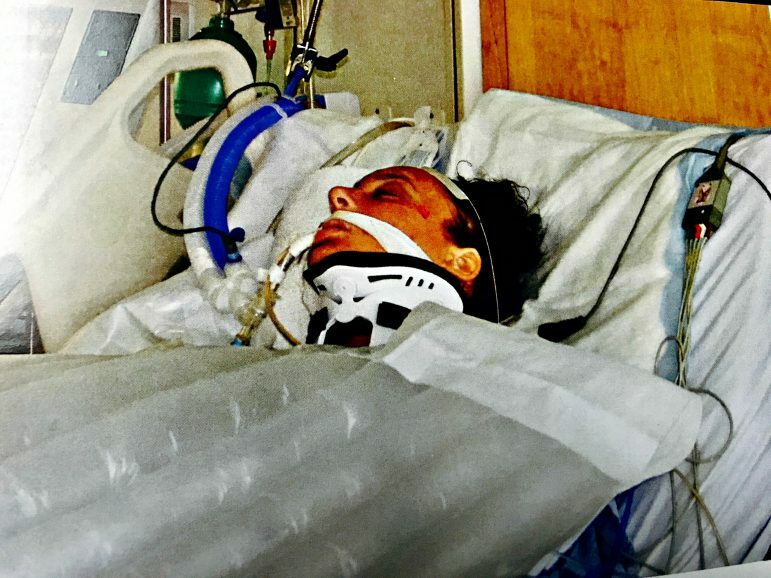 Life-flighted from a Connecticut hospital to the University of Massachusetts Medical Center in the hours after the accident, Burtt underwent a month of intensive care and surgeries for serious head injuries. She also suffered a broken shoulder and numerous fractures and lacerations in the crash. Burtt regained consciousness after two weeks, but has had no memory of the accident since it happened. After UMass, Burtt spent several weeks at Fairlawn Rehabilitation Hospital in Worcester, and then another month receiving in-home therapy provided by Fairlawn. 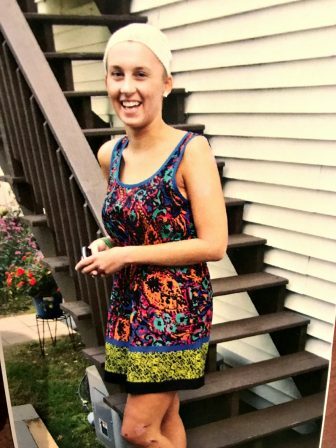 According to her mother, the first few months Burtt was home, she had appointments to see doctors every day. “When Jen got home from the hospital, we were very happy to have our daughter back, but at the same time, it was stressful. We aren’t the type of people to complain; it’s your child and you do whatever she needs,” Theresa Burtt said. It was in the months after the accident, during Burtt’s extensive rehabilitation and physical therapy program, that she decided she wanted to help others live a healthy life — much like so many had been helping her since the crash. “I wouldn’t be where I am today without the support from those who saved me after the accident — EMTs, Life Flight [rescue helicopter], doctors, nurses, family and friends,” Burtt said. She decided that physical therapy was no longer meeting her needs and she felt she was not progressing as quickly as she could. She wanted even more of a challenge. She wanted to push her limits. So she contacted a personal trainer — and that’s where her story really begins. For roughly five years, up until the day of the accident — and for a short time following — Burtt worked as a hair stylist and nail technician at D’Iorio’s Salon in Worcester (where the driver and victim of her fateful crash also worked). Following the accident, Burtt discovered a different way to help people look their best. Theresa Burtt, Jen’s mom, talks with a visitor about her daughter’s harrowing accident and inspiring recovery. According to Burtt, when she set her mind on personal training, she went “all in” right away. In October 2011, Burtt earned her personal training certifications from the National Personal Training Institute and the National Gym Association. The following year, in 2012, she received her CrossFit Level 1 certification. She went on to earn certifications in yoga instruction in 2013, USA weightlifting in 2014, and CrossFit Level 2 in 2015. Burtt started her career as a CrossFit class instructor and personal trainer at CrossFit AC in Auburn, which is now in Millbury. She spent several years in the Boston area working for BodyScapes Fitness and CrossFit Boston before returning to the Worcester area in 2016 to build a local clientele at Prime Fitness. “She’s direct and to the point and she tells you what she expects of you. She’s consistent in making sure you’re doing everything the right way and not hurting yourself. She will push you if she feels you’re taking it easy. She’s been great,” said Kara Herard, of Oxford, who has been training with Burtt for more than a month. “She has a great sense of humor and spirit. You wouldn’t know about what she’s endured by simply working one-on-one with her unless you asked her,” Herard added. Even with the success Burtt has found with personal training, and with the daily routine of working out, the effects of her accident seven years ago still linger. In February 2016, she needed a cartilage transplant and knee alignment on her right knee. A year later, Burtt had left shoulder surgery for a large labral tear and partial rotator cuff tear and to clean up loose cartilage fragments. “The surgeries are from what my body has gone through since the accident and after the accident with all that I have done. I’ve learned a lot with the recovery, and the modifications I have had to make from the limitations I have had,” she said. “Jen gets it because of what she’s been through. What she went through was near-death. She was in the hospital for a long time, and it’s ongoing with what she’s going to live with for the rest of her life,” Michele Maynard said, who has been training with Burtt three days a week for more than three months. Maynard, 51, of Millbury, has been working out for most of her life and intends on exercising regularly until she turns 80. “After all these years, I finally found someone that really is just the right trainer. I feel like she really knows what she’s doing and she’s dialed into my needs specifically. Working out through my 70s is something I really aspire to and if I don’t watch what I’m doing then I know the party is going to be over,” Maynard said. Today, Burtt has six clients that she trains with between three to five days a week. As she continues to progress physically on her own, she will devote even more time to training others. Burtt knows she is lucky to be alive and doing what she loves. Inbox [July 19]: News and notes from Loyal Techs, Ninety Nine restaurant, Community Harvest Project, Clemente Course Worcester and YWCA Central Mass.